Former UFC light heavyweight champion Jon Jones hasn’t been too impressed by surging contender Anthony Smith. Smith, however, has not been afraid to clap back at the former champion at defend himself when necessary. Smith’s latest comments about Jon Jones occurred shortly after the UFC’s 25th anniversary show in Denver, Colorado, where he assured that contrary to the former champ’s recent remarks, he is ready for a title shot. While Anthony Smith and Jon Jones are clearly at odds with one another, Smith says his goal isn’t to build up a grudge match with the former champ. 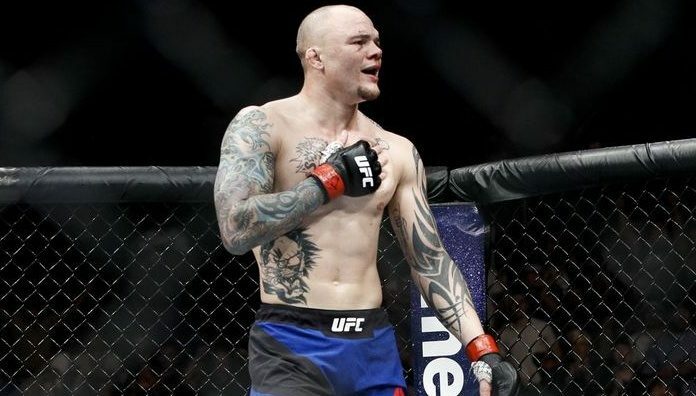 Do you think Anthony Smith could be the man to take out Jon Jones?